Miscellaneous sound-related stuff (but not only). Cables, accesories, bags and boxes! 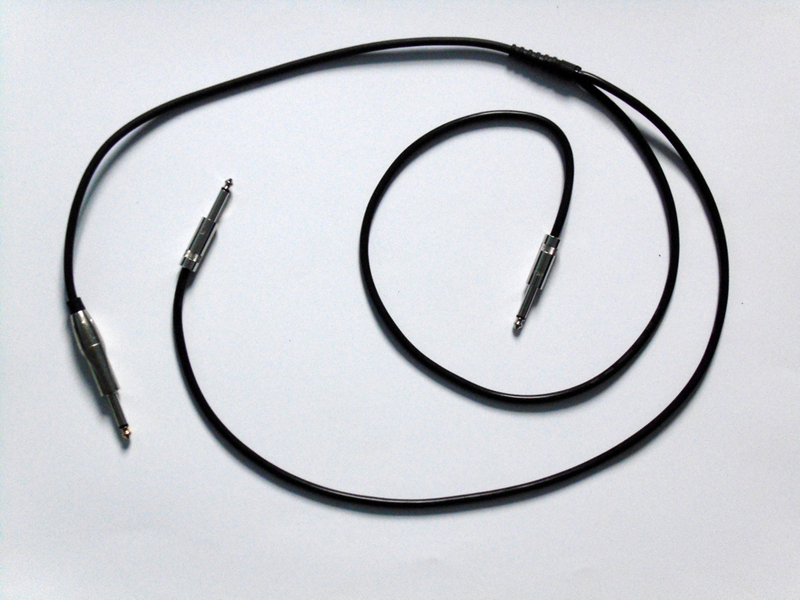 Insert cable - a stereo to double mono, classic insert cable for effects inserting or to use for connection between left+right double mono and a single stereo socket. Colour-coded with blue for left or send (tip) and red for right or return (ring). 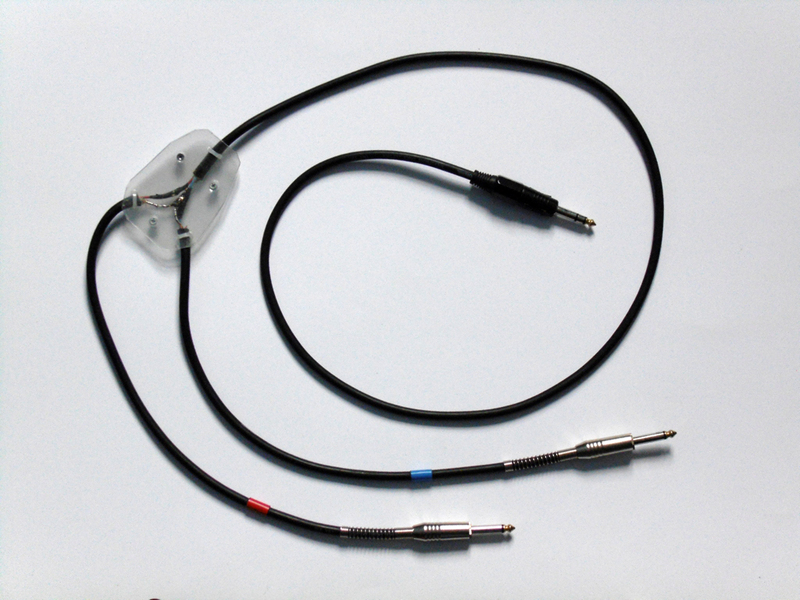 Gator cable - a logic OR (GATE adding) cable with two inputs and one output. Inside the cable is a wired-OR, diode based, passive logic circuit. On the output it gives a LOW state if there are LOW states on both inputs and a HIGH state if there is a HIGH state on any one of the inputs or on both.